For some, it’s almost back to school time! To help you out on the shopping, we are excited to bring you this Back-To-School Cariloha Mystery Box, whether it’s to get your child or yourself back to college and work. All Cariloha products are made with high quality workmanship and use bamboo, one of the most sustainable resources we’ve got to appreciate in the past few years. This mystery box includes everything you see plus some! Shirts, socks, hats, scarves for both men and women. In addition, the Cariloha Team will add more surprise items when it’s being prepped for the winner! What item in the box would be your favorite? Mystery Box with Cariloha Bamboo Items! Giveaway ends 7/27 at 11:59 pm ET! Open to US and Canada 18+ and older. « Little Debbie Beach Themed Snacks Giveaway! Yes! With so mamy birthdays coming up and parties, I could get a lot out of this box! A mystery box would be an awesome surprise! Cariloha doesn’t make anything bad. It’d help me or one of my family members. This would be awesome to win for me and my family. Since my son was born nearly 5 years ago and I became a stay at home mom I have only bought myself a few new articles of clothing. It would be nice to have something modern that I could feel confident wearing. Winning this would help me boost my self esteem a little and feel a little more up to date with the times. I don’t have the luxury to splurge and buy clothing for my self or my husband, as we put the kids first for everything. A lot of our wardrobe is well out of date and should have been tossed out long ago. there are a lot of people in my family and every thing in that could be yous full to somebody in my family. Yes it would be helpful because I never buy anything for myself, I always make sure my kids have what they need first. I love mystery boxes!! This box would be helpful to me because I need a new pair of flip flops and winning this would give me valuable opportunity to try bamboo items, something I have wanted to do for awhile. I would love this since i never seem to get anything for myself. This would be very helpful. I don’t shop for myself, so anything that comes my way is a great blessing. Yes it would be very helpful. There is so many wonderful items in it. I would love the razorback tank on black and yoga pants to match!! New clothes are not in my budget so this would be helpful. I also love the style and colors pictured. Yes I could use this very well. Me and my girls could use anything natural and organic and made so well. oh i could absolutely use some new attire without kiddo stains! 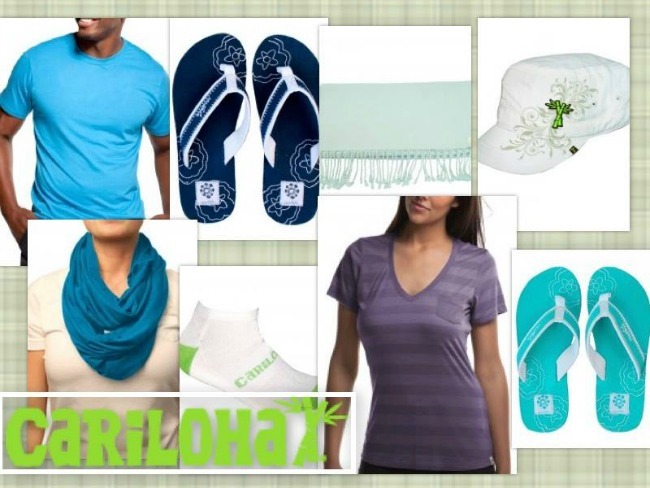 This would be wonderful to win because I can always use flip flops, the Cariloha clothes, scarves, etc. the clothes I would use to work out and casually. The other items I would use in a couple different ways as well. I have no clothes I shattered my ankle 4 plates and 10 screws and had to sit in a recclner for 1 months no walking on my ankle and I gain weight so now I have no clothes. yes it would be very helpful, i can remember the last time i bought my self clothes of any sort. I need a good explanation to the hubs why I now need to try their sheets! Winning would be awesome because it would be filled with lots of fun things to give out as Christmas presents! I could use some new items in my wardrobe! Plus, I’ve been curious about trying out clothing made from bamboo! This would be great for my son and wife /2 children and times are really tough for them right now so this would be a big help. They never spend money on themselves, would be a wonderful surprise. As a single mom of 3 I don’t buy myself anything. It would be great for some new things! Thank you for the chance to win! Yes, because they have such cute stuff! I’ve been wanting to try bamboo products for a while. This would be a nice package. I have 3 kids with one on the way and the oldest is almost 11 and is starting to love (expensive) clothes. I need all the help I can get! This is all stuff I could really use!! Anything to help cloth my girls is a big help! This would be helpful because my husband and I need some wardrobe updating since we are always buying for our four kids and not ourselves! Love the top & the scarf. I would love this! I have been buying for my children and putting myself last!!! This mystery box would definitely be helpful to me. I would love the purple shirt for myself and then I would use the other items as Christmas gifts. I’ve started working out with some seriousness, and I’m tired of wearing ratty clothes to the gym. This box would be so motivating! I would love the tshirts because they look so comfortable. Winning would help us because we have 4 going to school and every little bit helps. Yes, it would be helpful for me. I could use all the new clothes I can get. Yes it would, I won a set of sheets and they are so awesome that I would love to have more of their products. Because my 14 year old granddaughter, who lives with me, will starting back to school in 3 weeks and I need all the help I can get. I live off of a fixed income and it’s so hard to make ends meet anyway. I get stressed during this time of the year and holidays. It’s always so hard. YES! I need some new flip flops and I Love scarves! Yes, I could use some new stuff. Yes, it would be helpful. My sandals broke so I need new pair. Yes, it would help me step out of my comfort zone as far as changing up my style. Ive always loved the infinity scarves but haven’t brung myself to buy one yet. So this I would definitely try and I’ve never been big on hats but that one is cute and again, might be useful for hiding from the sun. This would be awesome to win for our trip to Florida! This would be so much fun to share with my son and daughter. Something for everyone, thanks for the chance! This would be a lovely gift-nice to have some new items for work. The box has clothing or accessories for myself, my husband and myself. How great that everyone could get something special. Thanks for coming up with a prize for the whole family! Love the flip flops! Would be fun to have some new stuff. This would be amazing to win because we are in need of new flip flops, socks, tees, etc for the summer! I would be in style and fashion with someone else to pick it out for me. Even without knowing what would be in the box, I do know that it would indeed be helpful. Clothes for me? Check. Clothes for my spouse?. Check. Towels or sheets? Check. Any of Cariloha’s great products? Check! This would be amazing because I could use new clothes/shoes/home products. I never buy anything for myself. Anything that helps my family get ready for back to school is always appreciated. Yes it would I can use it as a gift for my daughter. I could use some nice new flip flops! I would love the socks and shoes! Yes, I could definitely use some scarves, flops, and tees as the budget doesn’t allow for those right now. Yes, I could definitely use some scarves, flops, and tees. YES IT WOULD HELPFUL FOR ME….I NEED MORE SHIRTS…..
My last kidlet is off to college and I need to set her up with linens,ect.This would really help.Thanks for the chance! I would love some king size sheets & towels in white. I love the natural bamboo feel. It would be very helpful to me because my flip flops are falling apart and my socks all have holes in the toes, lol! Yes, I could use some new things! Thanks! This would be great! It is almost time for 2 of my children to go back to school. I have been losing weight and could certainly use some new clothes myself too! Yes, I could use some new items, especially flip flops. Yes! This box would be helpful to our family. Me and my hubby could use more casual clothes. 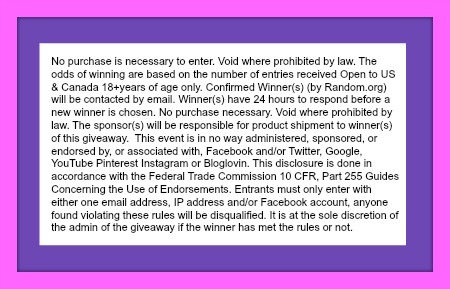 I would so love to win this awesome prize pack,and I could sure use them,my kids tell me that I dress like I’m older then I am,thanks for the chance. I could really use some new stylish clothes,my kids tell me that I dress like an old lady,thanks for the chance to win this awesome prize pack. This box would be helpful to me because we are going on a family cruise in two months and this would really spice up my wardrobe. I have nothing good to wear at all. A new clothing look, always makes a woman feel good about oneself. I could use the flip flops and t-shirts. I like that they’re bamboo items.